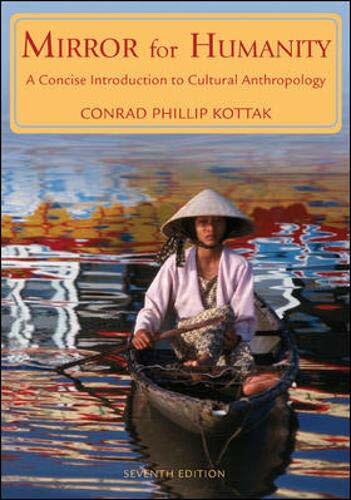 [PDF] Mirror for Humanity: A Concise Introduction to Cultural Anthropology (7th edition) | Free eBooks Download - EBOOKEE! Description: Written by a prominent scholar in the field, this concise, up-to-date introduction to cultural anthropology carefully balances coverage of core topics with contemporary changes in the field. Since no single or monolithic theoretical perspective orients this book, instructors with a wide range of views and approaches can use it effectively. The combination of brevity and readability make Mirror for Humanity a perfect match for cultural anthropology courses that use readings or ethnographies along with a main text. No comments for "[PDF] Mirror for Humanity: A Concise Introduction to Cultural Anthropology (7th edition)".